With e-commerce sales soaring over the past few years, there have been some major changes in the way people are buying and selling goods. Customers, who can buy virtually anything with a few clicks, have come to expect speed, transparency and flexibility in their online purchases. Warehouses are no longer standalone buildings used only for the storage of goods. They are increasingly becoming vital organs in the complex organism that is the modern supply chain. This has happened in a large part due to the combination of internet of things (IoT) devices and big data. “You can’t improve something if you can’t measure it” is an old adage, but one that has gained even greater prominence with the proliferation of these technologies. Warehouses have become ideal spaces to make these “measurements” and harvest data as they are the nodal points through which all goods in a supply chain flow. Inventory management is one of the primary functions in a warehouse, and has been for a long time. Carrying too much inventory uses up precious space, while shortfalls lead to longer delivery times and unhappy customers. Warehouses must therefore minimize their inventories while anticipating any sudden increase in demand. While this objective hasn’t changed, the methods warehouses now use have changed drastically, and so have the results. The dynamics of demand and supply are constantly in play in warehouses, since they connect producers to buyers. Warehouse management systems, which form the backbone of many warehouses, are programs that can keep track of everything from inventories and orders to the location of goods in the warehouse. By analyzing incoming and outbound goods, warehouse management systems can predict future demand for the goods they hold. This means that warehouses can often identify slow moving goods, shortfalls and even defective items before even their manufacturers can. The warehouse has become an important source of information and producers can base critical decisions about production and investment at their firms on this data. Customers like to track their orders, have the ability to cancel them midway or return products. Warehouses provide tracking information, and undertake reverse logistics by picking up and processing damaged, defective, outmoded or unwanted products from buyers. With software doing a lot of work that humans once did, warehouses can use their labor in other places. A host of value-adding processes, like packaging, assembly, product customization, and sometimes even customer collection services, are now being performed at warehouses. 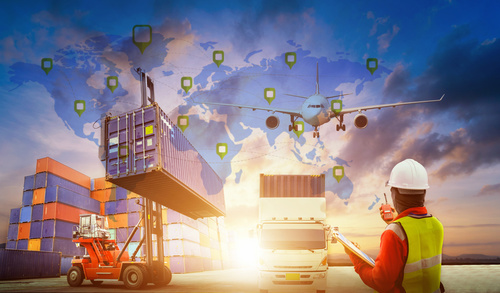 Transportation companies are also relying on warehouses to provide them with data and handle their transportation management. As hubs in the logistical network, warehouses are best placed to analyses the quickest, cheapest way to get the various goods they hold to the various locations they need to be delivered. The ability to track packages and find optimal routes means that warehouses are becoming control centers for third party freight carriers. Warehouses are also moving towards greater automation. For a long time technology hadn’t caught up to the needs of the warehouse. Older generations of robots and other machines, like conveyor belts, were expensive and very restricted in their functioning. In the last few years, more and more warehouses are using robots to speed up their operations. Robots do not feel hunger, take breaks and are free from human foibles. They can work all day and all night without any overtime, and will never complain about it. Most importantly, robots are much faster than humans and make fewer errors. Autonomous motion robots have changed the way warehouses function, from moving shelving units around to improve warehouse product flow, to helping humans locate and transport items. These robots don’t need any specific instructions from humans and can work from a centralized system that automatically prioritizes and assigns tasks based on orders received. As technology continues to advance, warehouses will keep changing, while transforming the whole supply chain around them. It is hard to predict what role warehouses will play 25 years from now but as e-commerce sales and omni-channel retail are bound to be even greater than in the past the future looks bright.